Hamby Home(in)stead ...: Beside your marks! 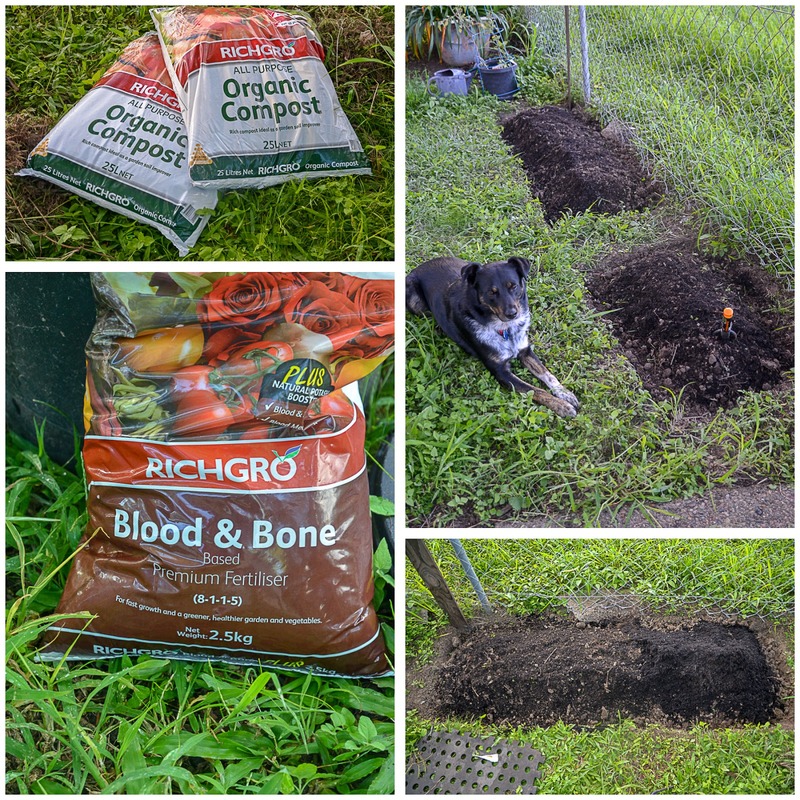 After a trip to our local Bunnings yesterday afternoon, I lightly scattered a small amount of blood and bone on each garden bed. 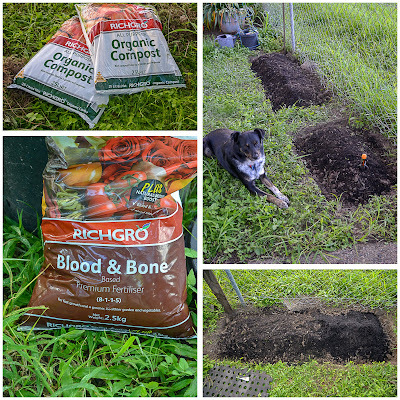 The larger bed received one 25-litre bag of compost to boost the soil. I gave the smaller bed about half that amount. Although I had intended to use only seeds from my collection, a friend suggested new bean seeds might be better, so I bought two packs from The Reject Shop earlier this week. One of my current library books is the "1-Minute Gardener", which has lots of easy-to-read information with photos. I'm liking the approach. Based on the authors' advice, I soaked my bean seeds overnight. I planted both garden beds this morning with the seeds pictured at right. All but the beans, silverbeet and spring onions are past their "sow before" date. Some by only eight months and others ranging up to two and a half years. There were older seeds but I decided to use the newest, for best results. I created a simple spreadsheet to track the "sow before" dates and expected germination times. I've recorded the date of planting and calculated date ranges for when to expect seedlings. I also planted eight garlic cloves. According to the one-minute gardeners, I should gain eight garlic bulbs - in about nine months. I've noted my spreadsheet! 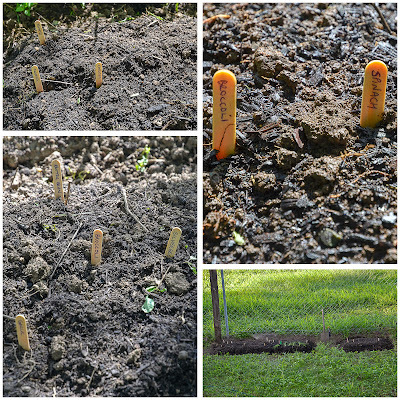 (Given the long wait time, I've planted some garlic chive seedlings in the same area). 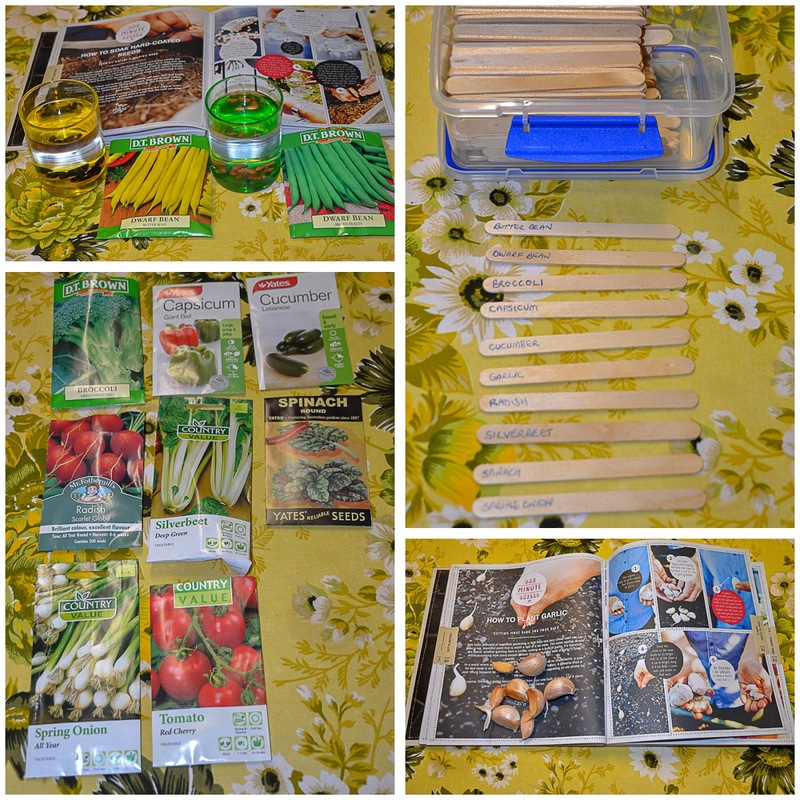 In the semi-recent past we bought a huge number of craft sticks for Vaughan - for stick bomb and chain reaction explosion activities. 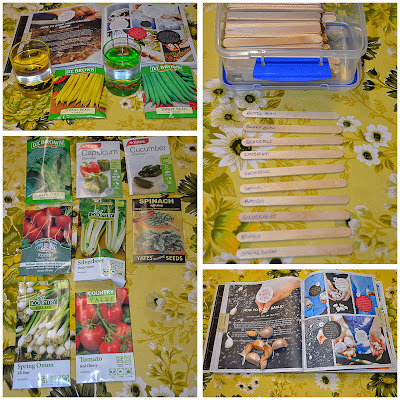 I raided his substantial collection to make some quick plant markers. Of course, I'm scheming for more interesting markers but these will do for now.